Melasma is the name of an extremely common skin condition, which presents in the form of dark and discoloured patches that can appear anywhere on the body. Despite affecting millions of people worldwide, scientists are yet to identify any verified melasma causes. It’s known that 90% of cases are identified in women, though the exact melasma causes themselves remain something of a mystery. It’s theorised that heightened levels of oestrogen can increase the likelihood of developing melasma, which is why the condition is most common of all among pregnant women. In addition, exposure to sunlight and other triggers that can affect pigmentation may increase the likelihood of developing melasma. Irrespective of the specific melasma causes, HSA Dermal Clinic provides an extensive range of uniquely effective and accessible treatments for this common skin condition. 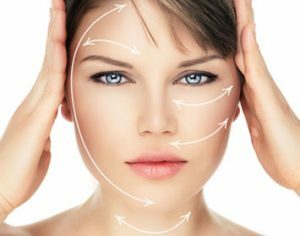 For more information or to arrange an obligation-free consultation with one of our experts, get in touch with the HSA Dermal Clinic team today. In many cases, melasma treatment may not be required as the condition may be relatively mild and ultimately disappear on its own. In other instances, this common skin condition can become relatively severe and have a lasting impact on the appearance of the skin. Despite not necessarily being considered dangerous, melasma treatment comes highly recommended to those whose confidence and life quality are affected by the discolouration of the skin associated with the condition. While melasma is most prevalent among pregnant women, it can nonetheless affect both men and women alike at any time. Some of the most effective options available for melasma treatment include chemical peels, dermabrasion, and microdermabrasion – all of which are available right here at HSA Dermal Clinic. Whatever your requirements and however severe or otherwise your case of melasma, you can count on the committed support, consultancy and treatment of the team at HSA Dermal Clinic.